Custom Heatsink – JSM Custom Engineered Products, Inc.
As practical thermal energy solutions for both low and high volumes, extruded heatsinks are utilized in a wide range of applications including refrigeration, heat engines, cooling medical devices, lasers and CPUs. 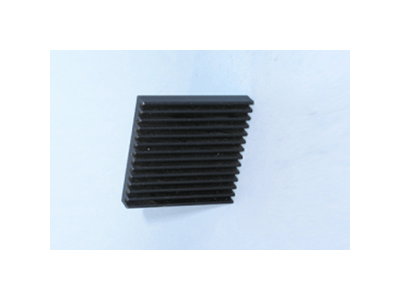 Heatsink applications are useful for industries that require efficient heat dissipation such as electronics, military, medical equipment, industrial manufacturing, appliance and LED lighting. This product can vary in many aspects of design, including length, noise level, speed, width, style, height and weight. There are also different styles of heatsinks including stamped heatsinks, bonded heatsinks and folded heatsinks that are much less cost-effective to manufacture than extruded heatsinks. In addition, larger heatsinks absorb more heat that smaller heatsinks due to the relationship between the heatsink’s surface area and ability to rapidly dissipate heat. Three items are needed for the rapid transfer of thermal energy: a heatsource, a thermal compound and a heat sink. The heatsource, an object at a relatively high temperature, must be thermally bonded to the base of the heat sink by a thermal compound for the heat transfer to work. Extruded Aluminum Heatsink – JSM Custom Engineered Products, Inc. Thermal compounds are generally a paste-like substance constructed with particles of silver, since silver has a very low thermal resistance. 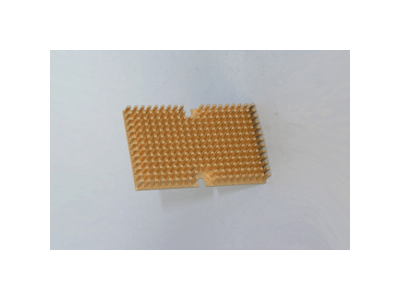 Once bonded, heat transfer begins and brings the heatsource into thermal equilibrium with the heatsink, thus lowering the temperature of the heatsource. Extruded heatsinks can be passive or active. Active heatsinks use a power source such as integrated fans with directed fins that direct airflow patterns in order to help to increase the surface area of the heatsink. Passive heatsinks do not use any mechanical components, and the heat is dissipated through convection, or the transfer of heat through a liquid or gas that is caused by molecular motion. Heatsinks A heatsink is a metallic device that absorbs thermal energy, or heat, from another object through thermal compounds, also known as thermally conductive materials. The heat is absorbed from the object, since it is at a relatively high temperature, and transferred to the heatsink, which has a much larger heat capacity.